Recently, my daughter got a few Trolls figures, that she plays with all the time these days. One afternoon she asked me if we could make little houses for these trolls, because “they need a place to sleep, of course” 😉 . 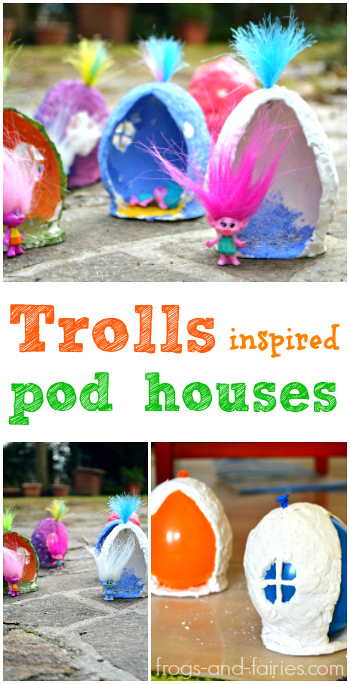 I got inspired for this project by those adorable pod shaped houses that we saw in the ‘Trolls’ movie. I followed this recipe for homemade clay that called for 2 cups of baking soda, 1 cup of corn starch and 1 1/2 cups water. My first batch came up too wet, so we kneed in a bit more of corn starch afterwards. (In the next batch I tried adding 1/2 cup less water and it came out great without adding any additional corn starch). Both versions are good, use whichever you prefer! We added all ingredients in a larger pot and whisked them together. Then we heated the mixture over medium heat, while slowly mixing it. I recommend that you don’t leave the pot out of sight if not necessary, because after a few minutes, the mixtures starts to thicken really quickly! we poured the mixture into a large bowl, and covered it with a wet towel. After a few hours, we kneaded the dough. That’s it! 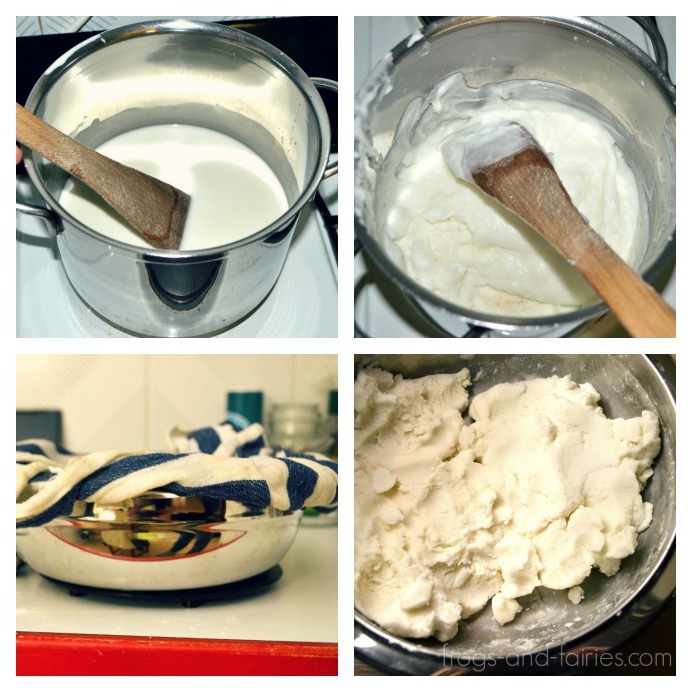 the process was really easy and the dough had a very pleasant smell (unlike most store bought versions we’ve tried). Yay for that! Now to the building part! You’ll need a few water balloons (one for every house) which you inflate with air. The water balloons will easily burst if you inflate them too much, keep that in mind. We used a regular air pump to inflate them. Tie the knot on the balloon and place it on a smaller piece of clay that you flattened to the surface beforehand. 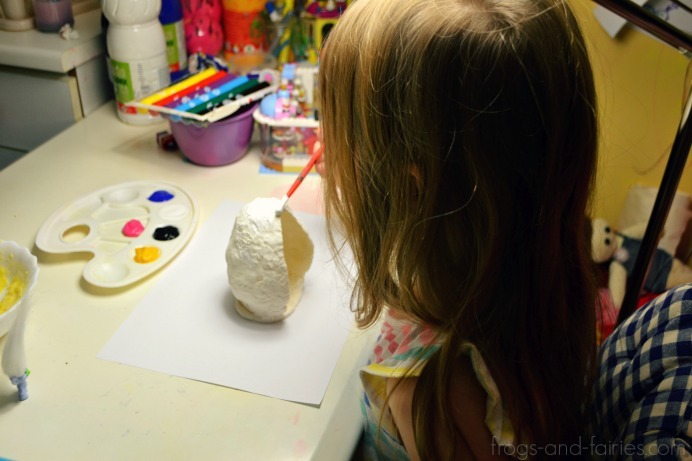 Start adding thin pieces of clay around the balloon until you cover it almost entirely, while leaving one side open. We also carefully cut out two round holes on the sides for windows with a dull edged, rounded pointed butter knife. Then we attached two rolled pieces of clay for the window frame. Let the house dry for at least 8 hours and then carefully make a small cut at the top of the balloon using scissors. 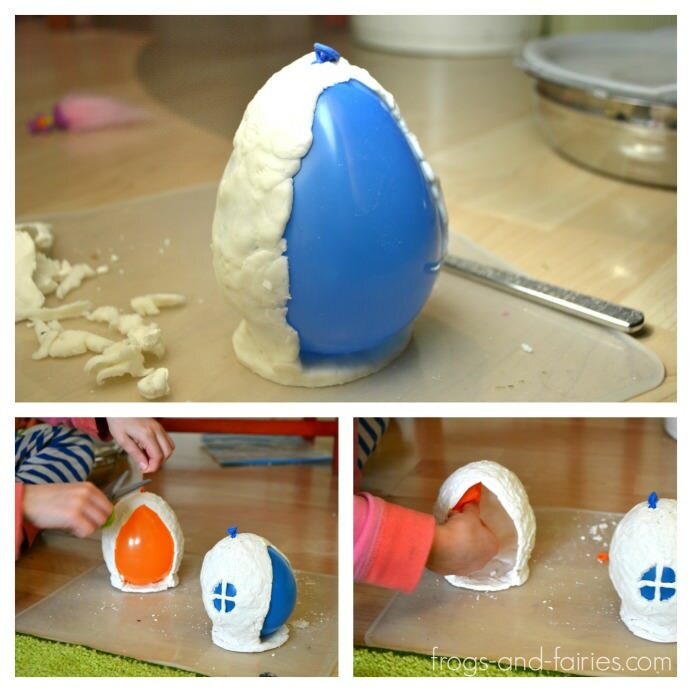 Make sure you make a small cut, so the balloon will slowly deflate itself, leaving the clay shell intact. The inside of the house won’t be dry until you remove the balloon so handle the pod house with care, because it will still be very fragile until the house dries completely. Let it dry for a few more hours. It’s time to paint the house! We used regular watercolor paints, but acrylic paints would also be a great option. You can add some glitter that will nicely stick to the wet paint. 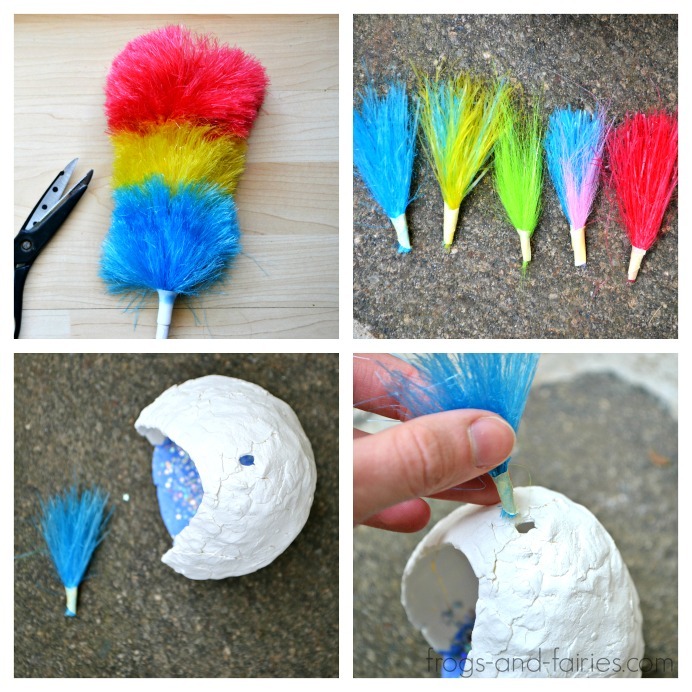 We used an old dust broom with colorful bristles, cut a few of them and tightly bound them together with a piece of sticky tape. Then we simply inserted them in the hole on the top of the pod house. 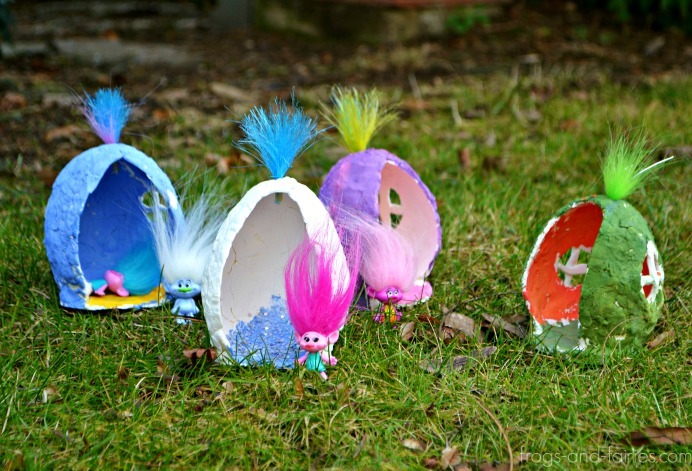 Each Troll got it’s own house! Don’t they look super adorable? The whole project was so fun and really simple to do. I hope you’ll have just as much fun with it as we did! Enjoy! 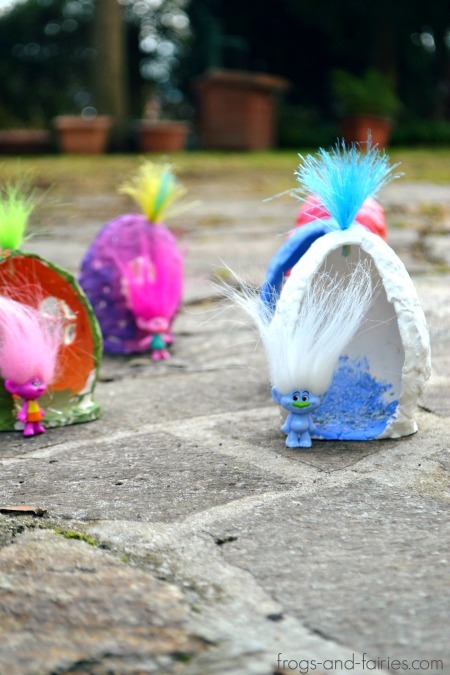 Also, check out THIS tutorial to make Trolls inspired masks and hair headbands with kids! So easy and FUN! How creative! How many pods would this make? Thank you Arika! This would make about 4 pods. I made 6 pods, but I placed lumps of dough between sheets of waxed paper and rolled it out to give it a smoother surface. That’s a great idea, Nancy! Thank you for sharing! Is this clay easily breakable? I’m thinking of doing it for a craft during my daughters birthday party. Would paper mache be better? Hi Erin! I think you could compare it to regular modelling clay in that sense. 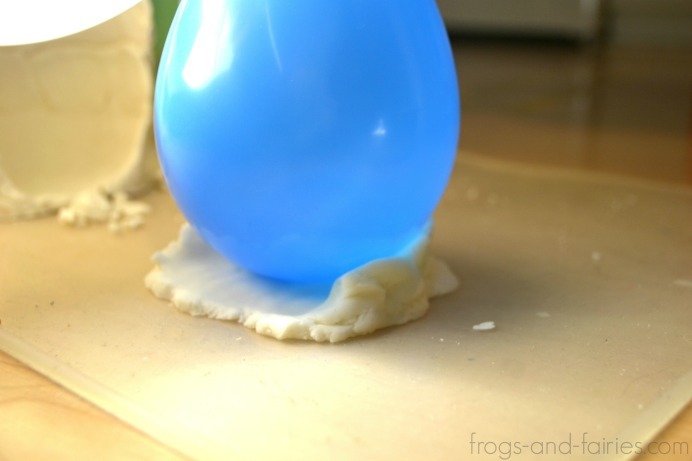 Be careful not to make a layer around the baloon that’s too thin. If you’re worried, paper mache would probably be a good idea too. I know this was posted a long time ago but I’m hoping you may still be able to answer my question. 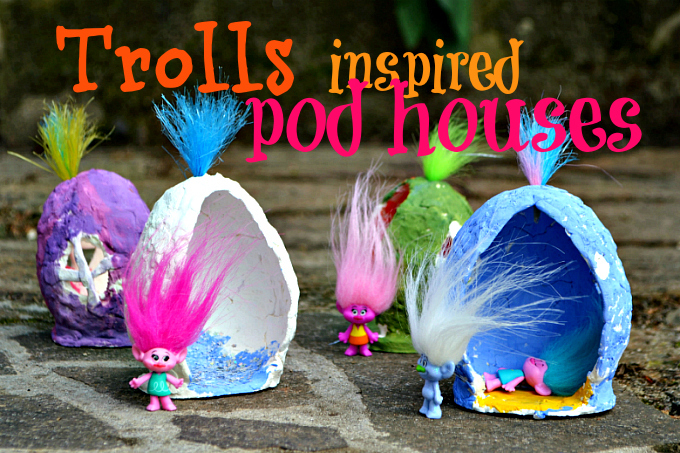 These are so adorable and would be PERFECT for my daughter’s Trolls themed birthday party next month! four hours or so today and they have not really hardened. How hardened should they be? Do I just need to let them sit longer? Did I do something wrong during the process?